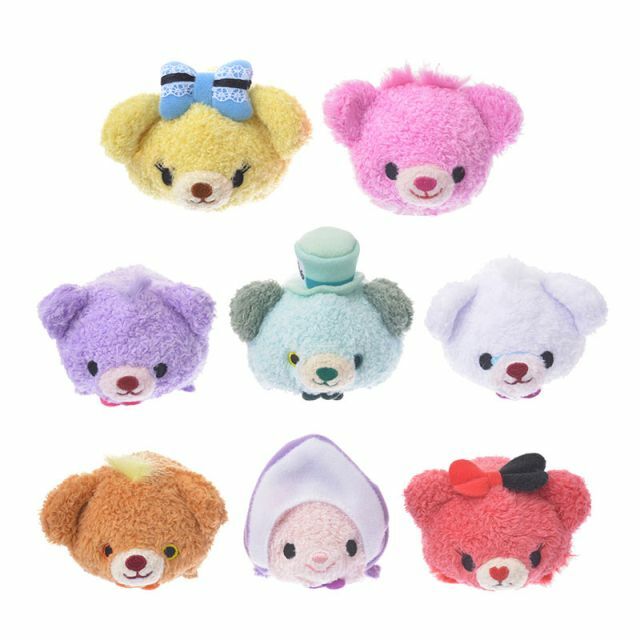 Like the first release, only a number of Unibear tsums are sold individually. Available for separate purchase are the Mad Hatter, Alice and Cheshire. 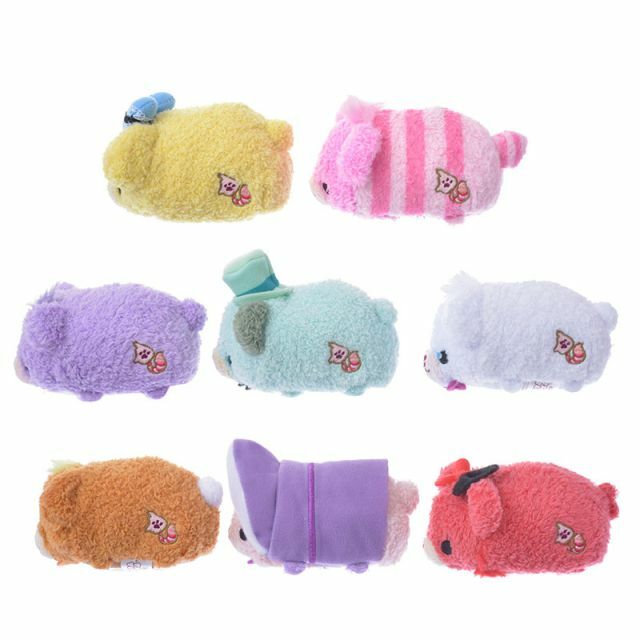 The other six tsums are exclusive to the box set. 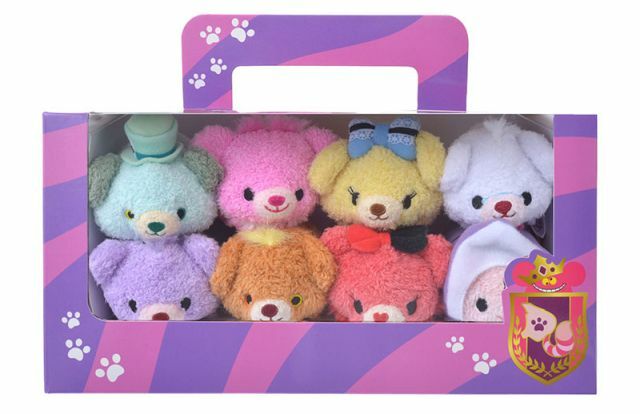 The box is designed after the Cheshire Cat, a suitable pick as the logo for the Wonderland Unibears takes after Cheshire as seen in the box corner. A box set retails for 5000 yen (plus tax). 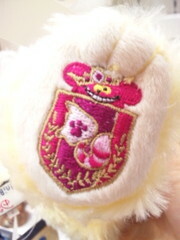 The fabric texture and overall design is similar to that of the first release of Unibear tsums. As is usually the case with Japanese tsums, the appeal lies in the fine details that give definition to their portrayed character. A blue bow with lace adorns Alice’s head. Cheshire has a bit of fluff ring around his neck. Dormouse wears a small purple bow tie and has a bit of fluff atop his head. Mad Hatter comes with differing embroidered eye colours and sports a classy bowtie and the recognizable top hat complete with the 10/6 signature. White Rabbit has light blue glasses stitched across his nose and wears a small bowtie. March Hare, similar to Mad Hatter with different coloured eye stitching, also has a bit of fluff on his head and wears a bowtie. The ones that probably stand out the most (and therefore deserves their own paragraph) are the last two tsums of the lineup – Young Oyster and the Queen. Young Oyster is the only tsum in this lineup to come with a full costume. What’s more impressive is that the hood can be pulled back to reveal the tucked pink ears. The Queen, like her Unibear counterpart, has the same unique heart-shaped nose along with a bow and ringed fluff around her neck. Her eyelashes follow the same style as the Unibear – two lashes in red and the middle one in black. It is in this tsum where you can clearly see the effects of intricate design that Japanese tsums are known for. 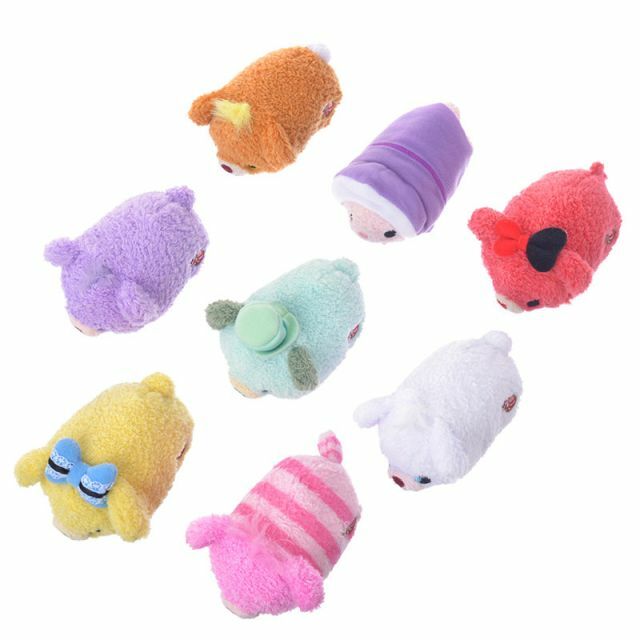 The tsums all bear the same initials as the Wonderland Unibear logo, with the “DU” fashioned after the Cheshire Cat.